I was recently sent this wonderful matte eyeshadow palette from Hard Candy to review. 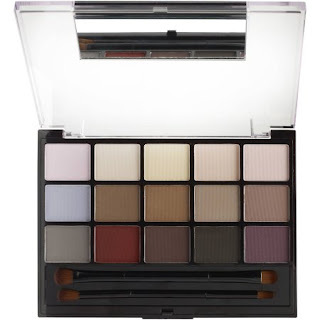 It features 15 shades including a dark brown and black. There are plenty of crease, brow-bone and lid shadows to choose from. These shadows are soft and almost cream to touch. The are pretty pigmented, but they work better if you build them. If your looking for a nice drugstore option for mattes this is it! It has enough shadows that you can do a complete look without adding anything else. I have to say I'm very impressed with this palette. 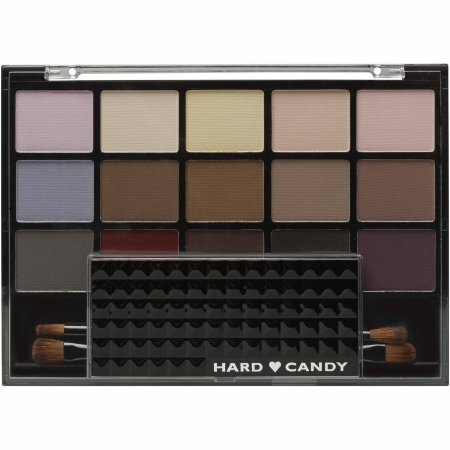 I was looking for a decent matte shadow palette and this delivers all of my wants from browns, black and that wonderful cranberry shade. You are able to go cool or warm depending on which shadows you choose. Will you be adding this to your makeup collection?